Break out your fancy pitcher, brew up the sun tea, and grab your eclipse glasses—The AstroTwins share their tips for the upcoming total solar eclipse. August 21, 2017, marks the first visible solar eclipse in the United States since 1979. During this rare event, lucky skywatchers will see the moon pass directly over the sun—essentially blacking it out for a brief and magical window of time. In astrology, every celestial body is assigned symbolic traits, and the bright, beaming sun represents our personal power sources. It fuels us up with a can-do spirit, and gives us the courage to express ourselves. Le soleil certainly has a say in our style choices—particularly the colors, patterns, and eras that attract our eyes. The moon, on the other hand, is much subtler. Astrologically, it governs our emotions and hidden desires— it reveals what we need to nurture ourselves. “Give me shelter” could be the moon’s mantra, as it guides us to turn our homes into sanctuaries, and fill them with sentimental objects. So, what does this solar eclipse mean from a cosmic standpoint? Well, as the light of the sun “turns off,” the moon’s intuitive wisdom takes the helm. During this astrological “power outage,” feelings become more important than appearances—and this can mark a major turning point for many people. We may realize that we’ve outgrown a situation, and that we need to release it in order to create space for something more fitting. Get ready, though—the next opportunity could come fast, and there won’t be much time to deliberate. 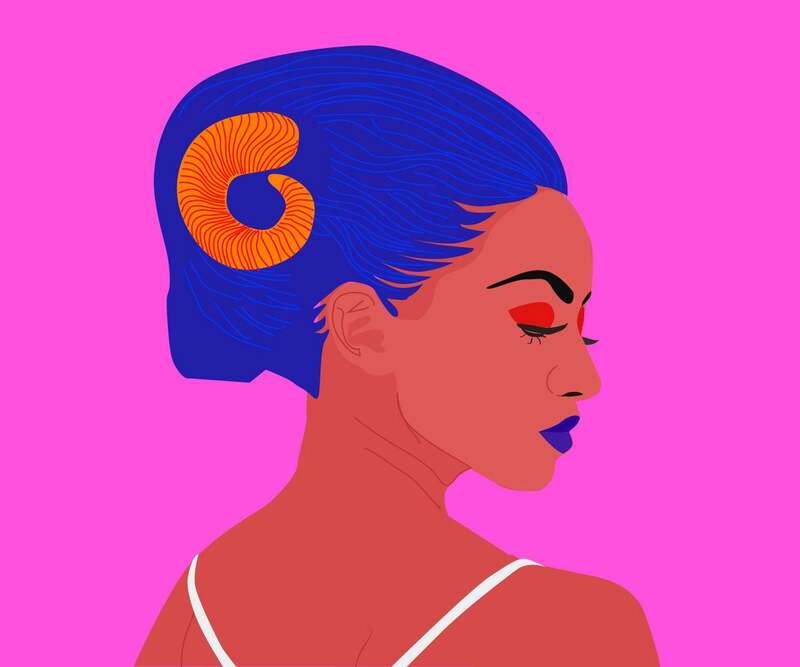 Since solar eclipses occur with new moons—and this one lands in the zodiac sign of regal, creative Leo—we are likely to feel a sense of renewed inspiration, power, leadership, and magic once the eclipse passes. And thanks to la lune’s influence, we’ll draw our motivation from a deep and soulful well. So, if you wake up on Monday morning mulling over a minimalist decor scheme of creams and whites, but end the day wanting to paint your house the vivid hues of Tulum, don’t say we didn’t warn you. Or maybe you’ll decide to put more personal pieces on display in the public areas of your home, in order to prompt richer conversations with guests. Something is bound to arise—a wild idea, opportunity, or inspired path—all totally unexpected. While the eclipse affects us all universally, it also has a secondary impact, depending on your zodiac sign. Here’s what you might want to release and embrace as the moon makes its journey across the sun, plus where you should look for design inspiration.